If you're here, you probably like snow Planning your first ski holiday or maybe u spend all Summer planning ski holidays or are you just trying to sniff out an extra little bargain ski-trip? The 10's of thousands of members of snowHeads, between them, must have skied and snowboarded just about everywhere. 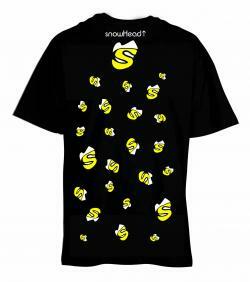 We are absolute beginners, instructors and even ex-olympians: every snowHead has a question and everyone has an answer for someone. From solo skiers short of a ski buddy to organisers of ski-parties of all sizes. From "What's the best ski insurance package?" to "Where's the best powder?" and from "How I survived the snowtrain" to "Ryanair ate my hamster", whether you ski, snowboard, blade or just build snowmen (just?! ), someone at snowHeads knows something that can help you and you're bound to know something that can help someone else too. Now, although there's lots to read as a guest, the only way to get the best from snowHeads is to register and login. This lets you view more of the forums, see who's taking part in discussions and post your own comments. We run a few bashes in the mountains each season for snowHeads forum members and, in the Autumn, some ski tests in some of the indoor UK snow slopes.